Heat Pump Repair | Clean Air Act Inc.
What Happens if My Heat Pump Loses Power? One of the advantages of having a heat pump in Canby is that they operate on electricity, so you don’t need to worry about having maintaining a supply of fuel to keep yours running. Where a furnace call for you to purchase supplies of oil or natural gas, and a wood stove means keeping potentially messy firewood around, a heat pump runs cleanly on electricity. Posted in Services, Uncategorized | Comments Off on What Happens if My Heat Pump Loses Power? Heat pumps are great pieces of machinery to have in your Aurora home, but they are not perfect. They come with their own problems and issues. Usually these can be fixed pretty easily, but it’s good to know what you are looking for. 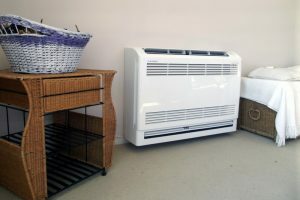 Below are some common problems encountered by heat pump owners, along with some brief troubleshooting and repair advice. However, for any serious repair job, it is recommended that you call in a professional to fix the problem. This is to ensure the best performance of your heat pump, as well as for your own safety. No Heat – Obviously, this is a problem. A heat pump should do two things—heat and cool. If it’s not heating at all, something is wrong. Sometimes, this is just a matter of the power supply being interrupted. Press the “Reset” button on the power supply. If that does not fix it, it could be that the power supply has failed or the motor is overloaded. Incorrect Temperature – For example, you set the thermostat at 72 degrees, but even after several hours, the temperature won’t get over 70 degrees. This can be a problem with the sensor in the thermostat or with the heat pump itself. However, it could also just be the result of very cold temperatures outside. Heat pumps have trouble keeping up when the weather is consistently below 30 degrees Fahrenheit or so, so it may just need help in the form of a supplemental heat supply. It’s Noisy – Heat pumps are generally designed to run very quietly, so if you notice a lot of noise, there is probably something going on. Common culprits for this type of issue include loose connections, like screws, nuts and bolts. Check for any loose fittings on the heat pump. Also, make sure the contractor who does your annual heat pump inspection tightens these fittings as part of his maintenance routine. Frozen – This can be indicative of a few underlying problems, but the most common is dirt in the air filter. When filters get clogged, the heat pump can get frosted, ultimately leading to freezing. Check the air filter and make sure to change all air filters regularly. Heat pumps can experience other issues, but these are some of the more common ones. Generally, though, heat pumps are pretty headache-free machines. Be sure to call a professional repair person is you experience any issues with your heat pump.